Flower lace on neck, both side of dress, waist and sleeve. Fabric flower on right side of the waist. A-line dress fully lined with net petticoat. 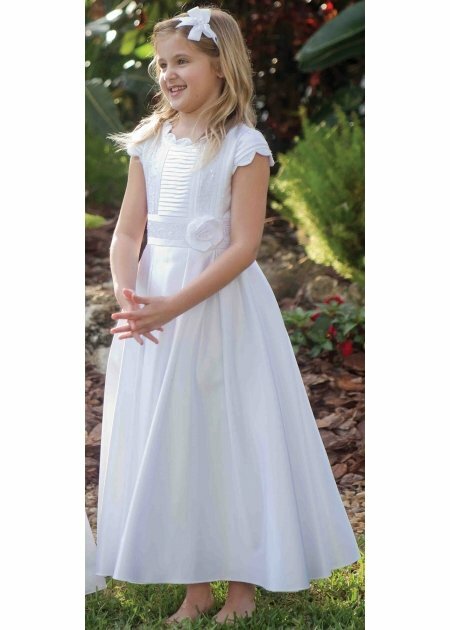 This communion dress is in stock in our Ashford shop for immediate dispatch. Please contact us to reserve it if you intend to bring your child to the shop to try it.